Review by Karen Topham, American Theatre Critics Association member; photo by Austin D. Oie. Rifts between fathers and sons have long been fodder for drama as well as comedy, and both are present in abundance in Stew and Heidi Rodewald’s The Total Bent, a musical now being presented at the Den Theatre by Haven Theatre in association with About Face Theatre. The play, which features some dynamite music and top-notch performances, is a bit threadbare on plot but still very entertaining. The basic premise of the play is that the father, Joe Roy (Robert Cornelius) has been ripping it up in the Bible Belt singing songs written by his now-deceased wife and his son, Marty (Gilbert Domally). In the opening scene of the play, Marty, who has musical aspirations of his own, quarrels with his father about his gay tendencies (dad berates him for wearing mom’s shoes when he was little, for example) and the lyrics to his latest composition, which include the repeated refrain, “That’s why he’s Jesus and you’re not, Whitey.” Joe, desperately in need of a career comeback after making the mistake of delving into faith healing, complains that the song is unnecessarily provocative against the white members of his audience, while Marty feels that its message perfectly fits with the then-current rise of the Civil Rights Movement in the show’s setting, “Bluntgomery,” Alabama. As the play progresses, though, Marty’s music and stage persona take on a theatrically messianic bent, appealing to youth both in America and England but failing to attract the serious attention of the black press. (Marty repeatedly asks, “Where Ebony? Where Jet?”) Meanwhile, his father is trying to record new songs and working as a TV Evangelist, neither of which is really working for him. The plot doesn’t get much deeper than that, and it includes significant holes. The gay content, heavy at the start, more or less vanishes as the show goes on, and even though it is the early 60s and he is not hiding his sexuality no one questions it at all. At one point, he does end up in jail, but we have no real understanding of why, nor of how he gets out. There are also a couple of odd moments when Byron and then Marty seem to have spiritual experiences onstage. And there is something weird about one microphone, too, but it’s all a bit fuzzy. But the music is not: the music, backed by a six-piece band, is excellent: sometimes powerful and sometimes funny. And director Lili-Anne Brown has brought out such good performances in her two leads that each of them demands our attention every time he’s on stage. (That can be a problem, given the landscape layout of the stage, when Arzell and Turrentine are doing brilliantly comic movements choreographed by Arzell on one side of the long stage and Domally is belting with his whole soul on the other: in some seats, you simply cannot see both at once.) Cornelius portrays Roy with a kind of gravitas befitting a man who sees himself as spreading the Lord’s gospel, and his voice is powerful. Domally shows us Marty as a rock star, the son shaking up the musical world his father was a part of. His voice, raw and emotional, lends itself perfectly to that world. When the two of them duet on “I’m Scared of Your Love” in the end, both father and son are wholly present in each other’s lives for the first time in the show, and the pain the actors convey is palpable. 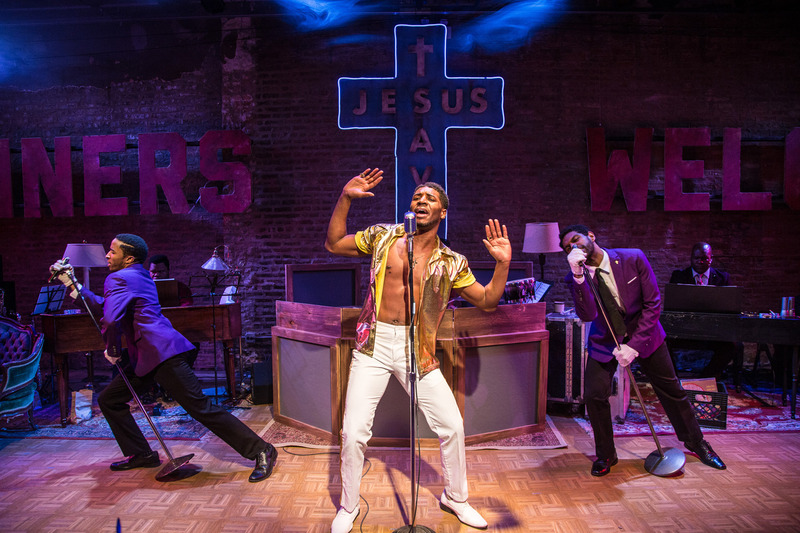 The Total Bent (which is the title of Marty’s album) is a rocking, entertaining play. If its plot is confusing or undeveloped, you can sit back and enjoy the music and watch Domally’s star turn. It would have been nice, though, to make some of the other elements clearer. The Total Bent is a Haven Theatre presentation, in association with About Face Theatre, now playing at the Den Theatre, 1333 N. Milwaukee, Chicago, until Mar 10. Check the website for specific dates, times, and tickets. 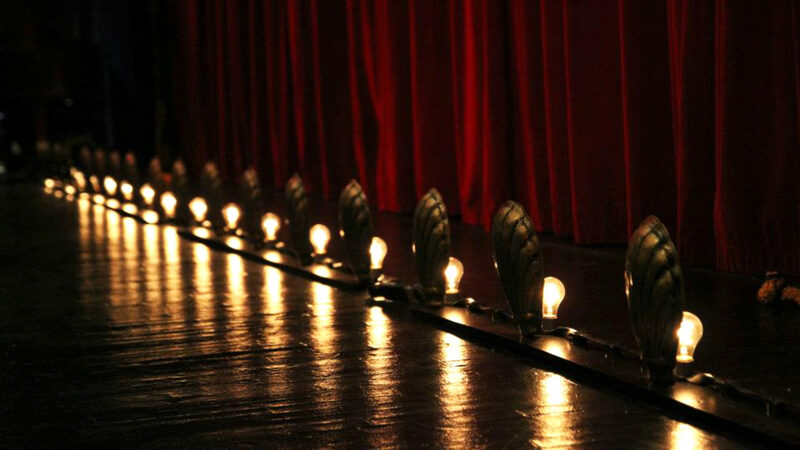 Find more information about current plays in our front page recs and at theatreinchicago.com.